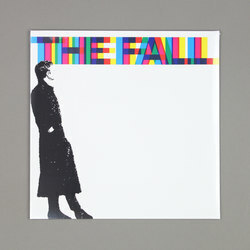 The Fall - 45 84 89 : A Sides. Vinyl LP. Bleep. There will be no more records from The Fall. After a run that lasted for over forty years and spawned thirty-one studio LPs, the passing of Mark E. Smith in January 2018 brought the curtain down on one of rock’s great bands. If Smith’s death has (re-)ignited interest in The Fall for you, then there are worse places to start than with the album that Robert Christgau once declared was ‘the only Fall record any normal person need own’. Originally issued in 1990, 45 84 89: A Sides is a Beggars Banquet compilation that surveys the group’s Brix Smith era and spans the second half of the 1980’s.